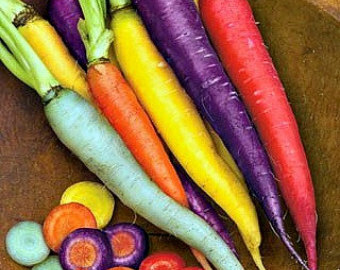 Rainbow Carrots are a variety of coloured Carrots in a punnet. The specific variety was trialed and tested to have the best taste and colour out of all the different variety of seeds availlable. They are packed in 200 g punnets or in bulk kg. Different sizing is available so send us an email or call us to confirm sizing.